His work is both motion and still photography, but both capture and draw you into another world, almost like a fantasy or illusion. His photographs include fashion, portraiture, and photojournalism covering subjects such as the Kosovo War. We have picked out some of our favourite pieces of his to share that fit into our mirror theme this month. First up is a photograph from his ‘Victoria’ album. The use of lighting within this image is genius in how the light reflects off the objects and human body, almost like it is mirroring the curves of the body within the objects. 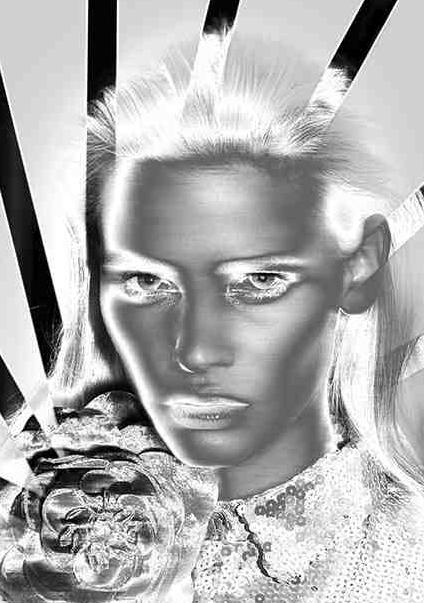 Also, the layers of black and white draw you into the image as though it is 3-D.
Next, is an intriguing blurred-like-motion still portrait image of model Lara Stone. The use of metallic silver and white contrasting with the black block lines in the background gives off a fierce yet radiant look, whilst the sequinned shirt gives off a glistening effect like a mirror in the light. 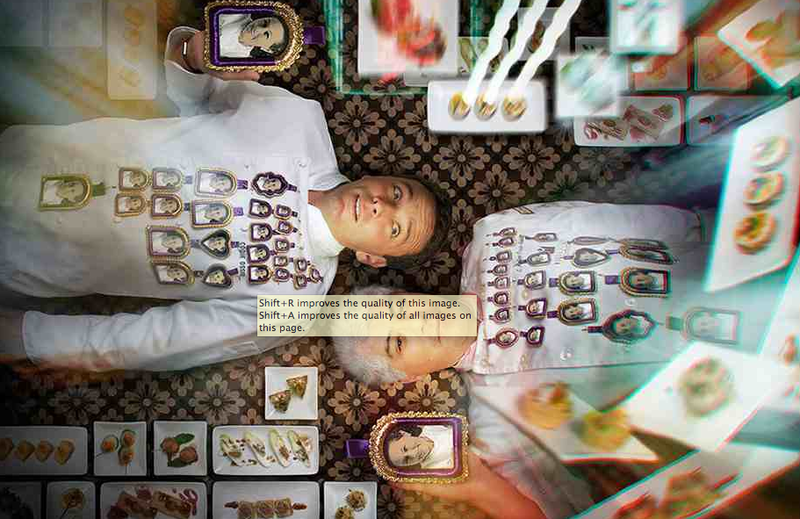 Lastly, is a coloured image from Jaime’s ‘Chef’ album, featuring chefs ‘Felipe and Coque Ossio.’ This photograph we love, as it does not include mirrors in particular, but the layers and repetition included is similar to layers of mirroring and repeating images, in a whirlwind-like way, in 3-D formation, again drawing the viewer into the image. Jaime Travezan’s work is without doubt marvellous and so creative!